Colin Crawford is a piano tuner technician with 30 years’ experience based in Cheltenham, Gloucestershire, covering the entire Cotswold area, the Stroud Valleys and surrounding counties, including: Cheltenham – Gloucester – Stroud – Cirencester – Forest of Dean – Tewkesbury – Stow – Moreton – Evesham. As well as tuning and repairs, he offers an unbiased advisory service for piano buyers and will sell pianos on a commission basis. 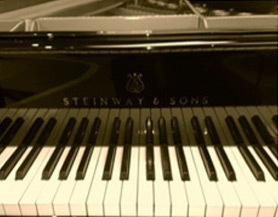 Buying a piano can be a difficult process and good impartial advice is invaluable when undertaking such a decision. Often a piano dealer is more interested in selling his own stock than advising the client on the best instrument for his or her budget. See the ‘Piano Sales and Advice’ page for details. He is a member of the Pianoforte Tuners’ Association and the Institute of Musical Instrument Technology. Many local musicians were saddened to learn of the closure of Musical Instruments Cheltenham and the Cheltenham Piano Centre at 52 Winchcombe Street. To contact please click on the email link which appears at the foot of each page, or for faster service please phone. Mobile usually gets quickest results!